If you want to visit and admire the natural beauties of Serbia, you must, without hesitation, start by going to Mount Miroč. 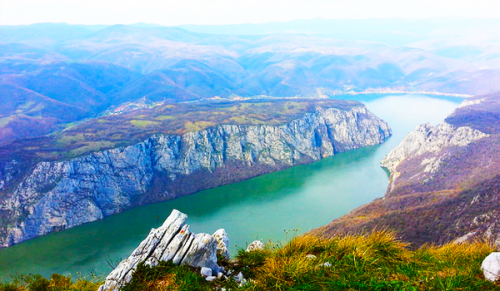 Since 1974, Djerdap has been declared a national park and this is why authorization is mandatory if you want to climb the highest peak of Mount Miroč called Veliki Strbac (767 m) and which is above the narrowest part of the Danube. Here are other known peaks and plateaus: Mali Vis, Visoki Čukar, Čaršija, Glavica, Kiloma, Beljan or Alun. You will be able to find hotels and private accommodation in Donji Milanovac, Kladovo and Tekije. Miroč is about two hours by car from Belgrade. If you choose this means of transport you will be able to find interesting places to visit such as the ruins of the Roman castle Gerulatis or the Gradasnica cave. On site, you will have the chance to contemplate an unspoilt nature that homes rare plant and animal species. If you like herbal remedies or honey, you will find products made by locals. It is the ideal place to recharge your batteries and enjoy the fresh air through activities such as walking, cycling, mountaineering or caving. Do not hesitate to taste the local food, known for being healthy and based on meats dried with the wind blowing on the mountain. The inhabitants organize every year, generally in the month of May, a fair of healthy food called the Jorgovan Fest. Posted on November 22, 2016 by Allo-Balkans. This entry was posted in Serbia and tagged tourism. Bookmark the permalink.